Backpack includes all of the course materials that instructors need to teach the classes. Every 5 years, the Red Cross updates its training programs to conform to the latest scientific research and recommendations of the ECC (Emergency Cardiovascular Care). During the update to the new science recommendations, we use this as an opportunity to refresh and improve our training programs and materials. 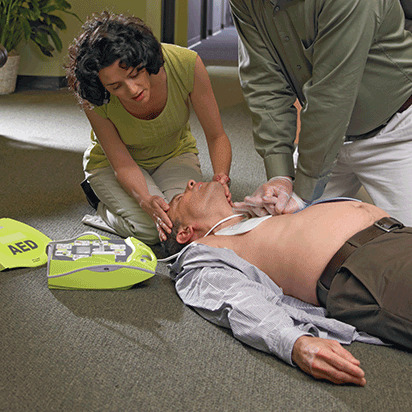 First Aid/CPR/AED Deluxe Instructors Kit with Backpack is rated 4.1 out of 5 by 50. Rated 4 out of 5 by Ritka from Easy to use!! Very nice set for the bigginner. I would put 5 stars but put 4 because. No tests go with this set. Only answers for tests that are not their. Otherswise fine!! Rated 5 out of 5 by Chris1980 from Love it I’m so happy I bought this item. It has all the information I need to start my first class. Rated 5 out of 5 by Nicky Nick from Love the Bag! I bought the Instructors backpack right before my instructors training and it had everything I could possibly need. Very durable bag as well. Rated 3 out of 5 by BRikee79 from Manuals Needs more manuals so that when you have the class your participants will more their manuals. Rated 5 out of 5 by Kate24 from Great Product I bought these supplies a few weeks ago and love everything. The backpack is great quality and includes everything that is needed for the instructor class. Rated 2 out of 5 by rsewell519 from Disappointed Great product, unfortunately mine came with a broken zipper. For the price I would expect it to be flawless. If it wouldn’t have come broken it would be amazing!